This past weekend we had the enjoyment of introducing the boys to wonderful, wintery, Wisconsin and all that it entails. The boys club Aaron volunteers with was graciously hosted to ice fishing, sledding, antler searching, great company and good food! It was the first big outing for our boys. 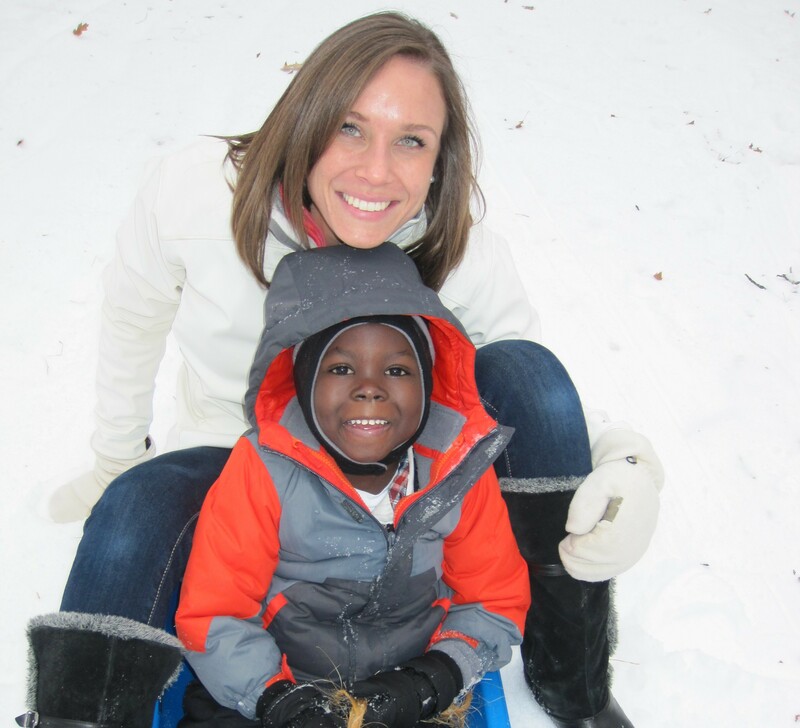 Despite mom nerves, they did absolutely wonderful and fully enjoyed the great outdoors! 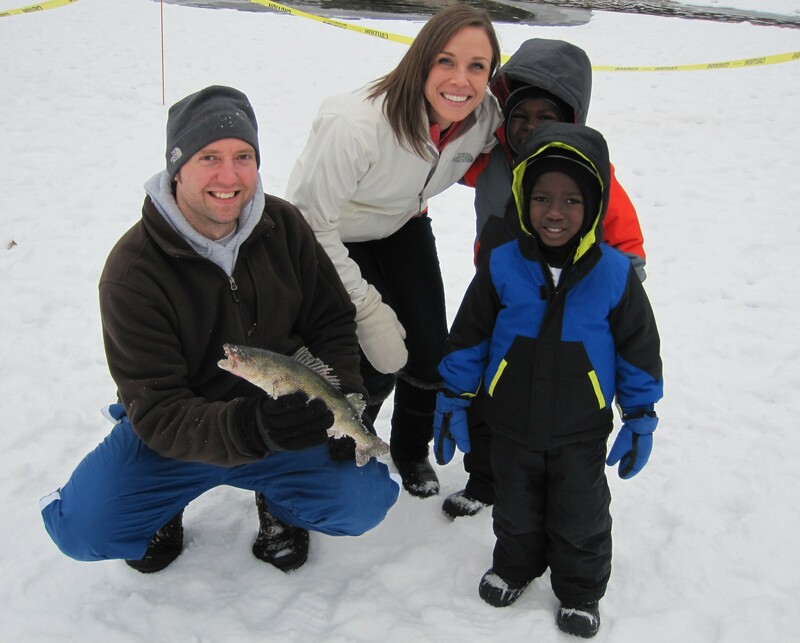 Great fishermen and already telling fish tales…just ask them how big their fish was?!! Although, they were a bit taken back at seeing the fish move and flop in front of them. I must admit I showed a large amount of enthusiasm as I pulled out a ginormous fish with no assistance. Proud of my catch, but didn’t dare touch it! Deer hunters in the making and Aaron cannot wait! 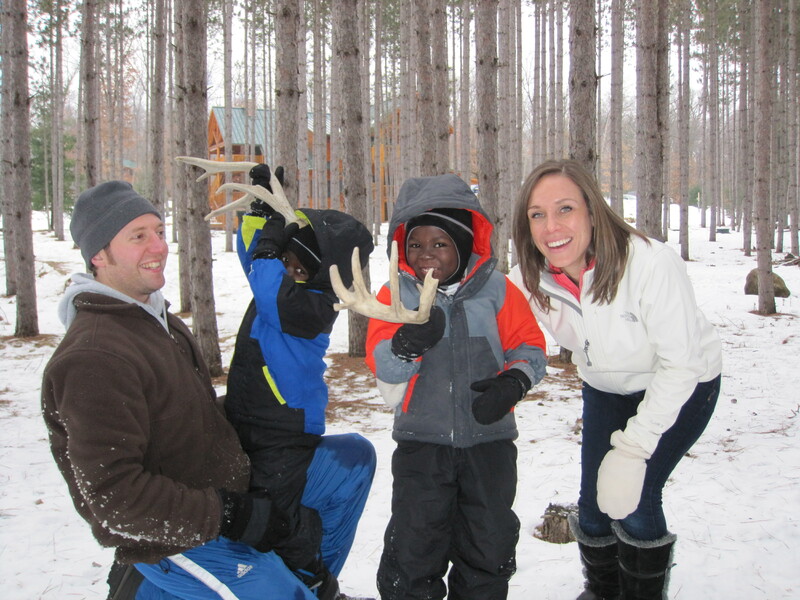 They happened upon these carefully placed antlers and were so proud of their find. Wondering what they would have thought seeing the actual deer these antlers came from!! The day wouldn’t be complete without sledding and giving mom a fright, while I watched the boys acrobatically fly in the air in slow motion!!! The first lump in my chest as they went racing down the hill without realizing the strategically placed ramp at the bottom!! To my relief they got up smiling and laughing…and leaving me very grateful for their guardian angels! Seeing little ones enjoy winter makes me enjoy it more too! I missed this post somehow…Great job keeping the blog rolling with all of the adventures two little boys bring. Let’s hope you can still find time for Fantasy Football this Fall. Well as you can see it’s been a couple of weeks since my last post, starting to fall behind!